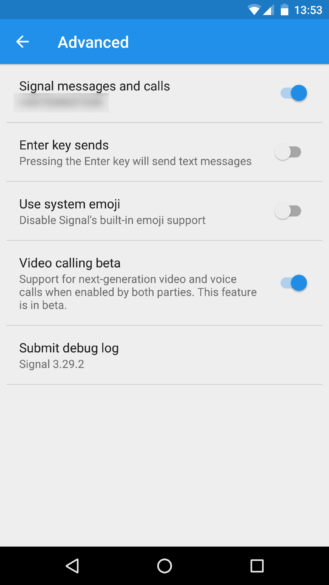 Experimental support for next generation video and voice calling. To enable, toggle Signal Settings -> Advanced -> Video calling beta. Calls to or from contacts who also have this setting enabled will use the new next generation calling feature and support video. 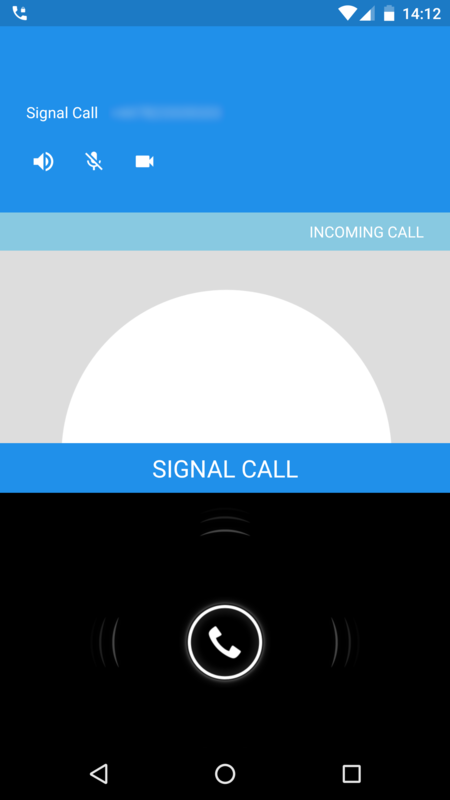 The upcoming Signal iPhone beta release will include the same functionality. Please give us feedback on how it works for you, thanks! South African site MyBroadband reports that the experimental features can be enabled in the beta version of the app, available on Google Play. These are available in settings, and include voice and video calling. Both the caller and the recipient need to have turned on video calling for it to work, in which case an encrypted, secure video call can be carried out, away from prying eyes. The upcoming iPhone beta release of Signal will also include this functionality. Left: the toggle in Settings. 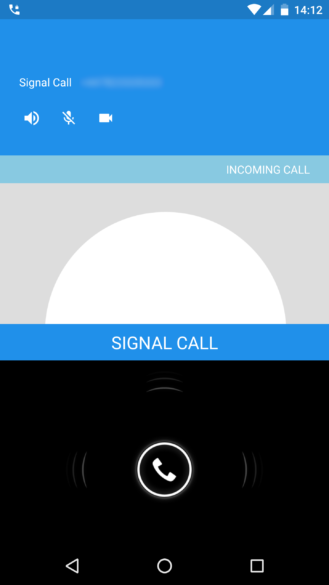 Right: a Signal call, with voice and video icons in the top left. Thanks to @philicibine for calling me, so I could get a screenshot. Signal Messenger is available on Google Play, or we have it at our sister site APK Mirror if that's more your thing. The beta programme is opt-in, and you can register for it here.